The last of these held a particularly big sway as he searched for the college that would best fit his adventurous lifestyle. After high school, Meyers spent two years as a cosmopolitan traveler, teaching English in Swaziland, taking a course on sea kayaking, and hiking, climbing and sailing in British Columbia. His last big exploit before college was a five-month trek along the Appalachian Trail, the longest hiking-only footpath in the world. Meyers did not want his academic pursuits to put an end to his outdoor ones. 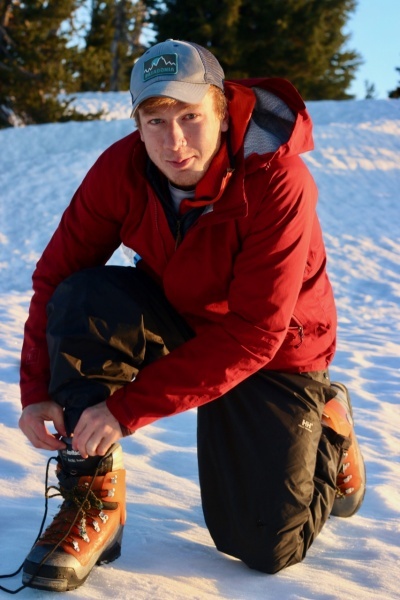 He saw the UO’s Outdoor Program as the perfect way to balance his interests. The Outdoor Program gives students the autonomy of planning and embarking on their own outings with their peers, from hikes in the Cascades to river clean-ups, all of which center around environmental stewardship and sustainability. The program itself, which powers its facilities with solar energy, holds true to these values. For his first outing in October 2017, Meyers put his kayaking training to the test with a whitewater run on the lower McKenzie River. Snow from the Cascades melts and drains into the McKenzie, giving it a brilliant ice-blue color made brighter by the 90 miles of lush green forest it flows through. Hikers can appreciate this beauty as they walk along its banks, but Meyers said that first excursion showed him there’s nothing like the view from the water. What also impressed him was how how well everyone collaborated as they navigated the frigid rapids. By the end of a trip that only lasted a few hours, he felt close to his groupmates and still kayaks with some of them. Meyers has since become a trip initiator, something any student can do after taking the free trip initiator clinic. It allows him to lead or co-lead outings of his choosing for free. When he initiated trips to Hoodoo Ski Area, his pass was paid for. “It’s hard to beat that,” he said. Apart from the perks, Meyers likes how positive the community has been. 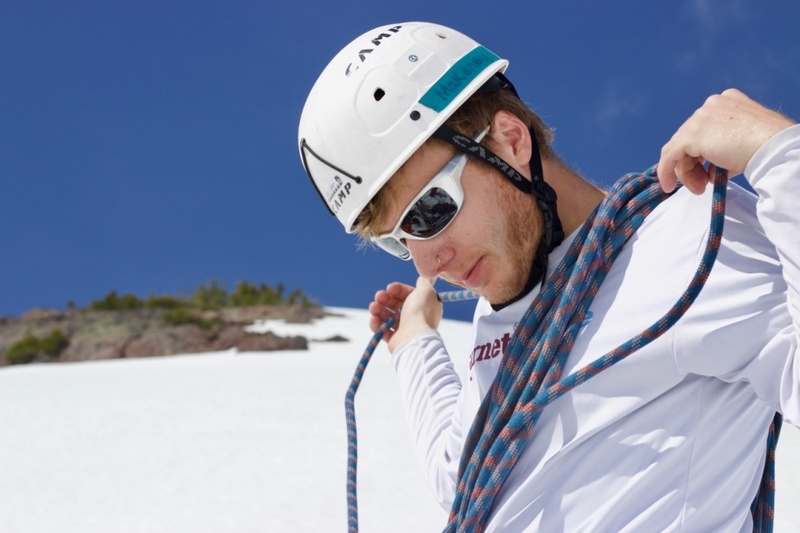 His experiences connected him with the university’s Outdoor Pursuits Program, which offers a range of outdoor adventure classes, from swiftwater safety to rock climbing. Meyers just returned from a mountaineering outing this weekend through the program, which taught him the basic skills needed to climb steep peaks. It offered a basic training that could one day lead him to an expedition in the Himalayas, maybe even K2, the second-highest peak in the world behind Everest. With three years left in college, Meyers plans to complete the outdoor leadership series, allowing him to lead his own extreme trips in the backcountry. He also plans to get more involved with the Outdoor Program, continuing to initiate more laid-back outings with peers. For those who would like to embark on similar outdoor adventures, students can organize weekly trips that usually only cost $5 to $15. A list of outings is available on the program’s website. Students who want to learn more technical backcountry skills should consider taking some of the classes through the Outdoor Pursuits Program.